How much does Blue Pearl Granite Cost? 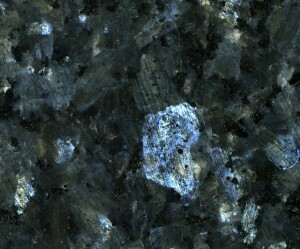 Blue Pearl Granite, also known as Labrador Blue and Blue Opal, is popular for its durability and longevity. This stone work is quarried in the bedrock of Vestfold, Norway. Due to popular demand, this stone work is quarried all year round, including harsh winter months. Compared to the other exotic options, this stone work is particularly expensive, making it a solid option for people with bold taste that have a moderate budget. The average price of Blue Pearl Granite averages around $40 per square foot, depending on your local granite shop. 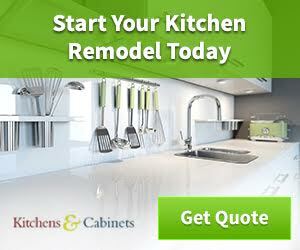 This does not include the other fees, such as fabrication and installation. Some contractors and suppliers offer packages that include the cost of materials, fabrication and installation, ranging from $65 to $90 a square foot. If you are working on a tight budget, you always have the option to do it yourself, with the wide array of tips and how-to’s available on the internet today. If you want to compare Blue Pearls price per square foot to other granite colors check out our page, What does granite cost per square foot? Where to use Blue Pearl? Dominated by the color dark blue and/or black complimented with blue and silver mineral deposits in it, this granite usually comes in a polished finish. Its three-dimensional like appearance makes it a great statement piece, with its unique crystal structure. Its polished surface reflects the light fittingly, making the granite look like a feldspar of crystals. This coarse grained granite hails from the Permian period, making it one of the toughest stones in the market today. 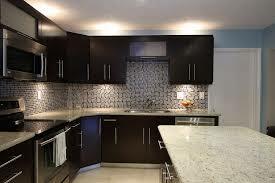 This granite resists weather, wear, freeze, and thaw. Undeniably a popular building material, Blue Pearl Granite is not only for home use, but also for health care facilities and spas, restaurants, among others. Due to the aforementioned features of Blue Pearl, it’s fit for exterior building cladding, interior panel walls, counter tops and bars, granite curtain wall, and flooring tiles. This beautiful granite is recommended to be sealed to ensure its longevity. Definitely contrasting color choices, blue pearl and black cosmic granite are at par when it comes to strength and resiliency. However, their differences lie between their aesthetic composition, as well as the price. Blue Pearl Granite looks like a mosaic of white, silver, and blue mineral deposits. On the other hand, the Black Cosmic Granite is a reflection of the Milky Way, with its mineral deposits lined up in white long streaks. Blue Pearl Granite is slightly cheaper than Black Cosmic Granite, but the discrepancy is not that much. Either way, both granites are investment pieces that you will not regret getting. More on the subtle side compared to the black granite varieties, blue pearl granite fittingly makes a great statement piece, with its beautiful array of mineral deposits on its surface. While black makes a room bolder, pairing blue with white makes it calmer. Be sure to add in some accent pieces coming in blue tones, to perfectly harmonize every element in the room. This homey combination never fails to make a room warm and inviting. The good old classic wood feel, plus the charming blue pearl granite delivers a great alternative to white cabinets, once accented with lighting fixtures and flooring you get a homely feeling space. You can’t go wrong with this one, for a country look will always be timeless. Pairing your blue pearl granite with dark cherry cabinets and accessories will scream “classy”. The stone work, being dark enough, once combined with another dark feature, will create a timeless piece. Just make sure to incorporate light accents and fixtures to balance out the dark elements and make it breathe.